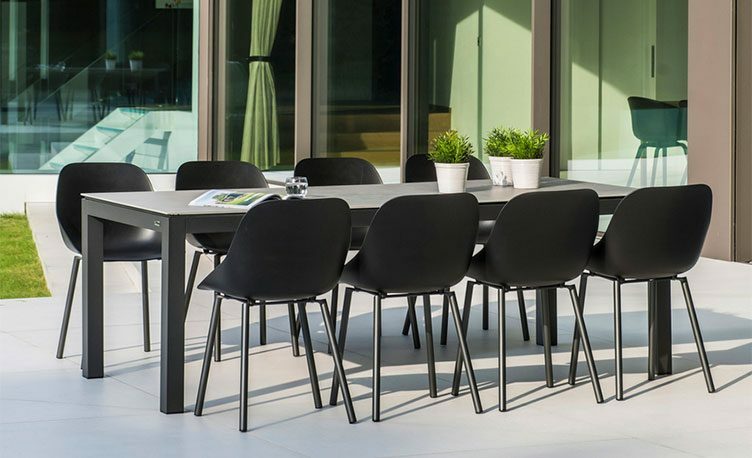 Summer 2019 will see Kettler begin a new venture with Belgian garden furniture manufacturers Jati & Kebon. Jati & Kebon is Indonesian for ‘teak’ and ‘garden’, referring to the company’s beginnings, producing teak garden furniture in the heart of Indonesia. In 2010, they expanded into aluminium garden furniture, made in their state-of-the-art production unit in China since 2010. Their styles extend the living space, turning gardens into outdoor rooms. The luxury garden furniture cleverly blends form and function for long-lasting quality with impeccable comfort. Their modern designs blend materials, with teak table tops set into aluminium frames. Jati & Kebon invest heavily in research and development to produce quality-crafted garden furniture with the best materials. Their aluminium garden chairs and tables are strong, light and corrosion resistant while their teak wood is carefully selected for the best durability outdoors. High-quality materials and cutting-edge technologies give the frames a flawless finish. 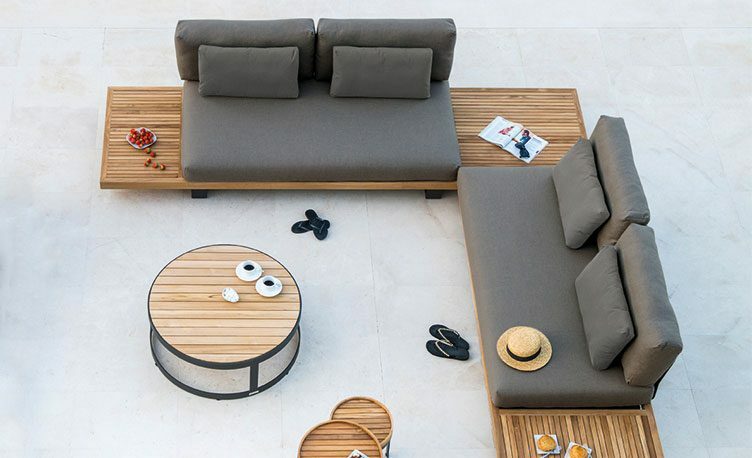 The modular lounge sets can sit in many different configurations. Each range includes 2-seat and 3-seat sofas as well as side chairs and coffee tables that come together to complete your set. Create a high-quality outdoor dining set with the choice of garden tables and dining chairs. The pieces are available separately to mix and match each piece. Jati & Kebon garden furniture is sold worldwide, and now we are distributing a selection of handpicked ranges to the UK. We share a love for luxury garden furniture that is sure to make an impact. View the range very soon.